Ronald McDonald House in Washington, D.C. Hats Off For Cancer is always looking for more hospitals, camps and centers dedicated to helping children with cancer that is in need of hats. 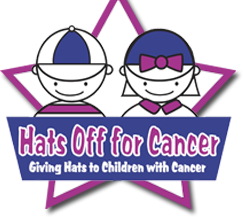 Please contact Hats Off For Cancer at info@hatsoffforcancer.org if you are interested in receiving hats. Along with the ability to request hats, you will also be added to our distribution list and contacted when we receive large shipments of hats!